Make the most of your 4K television, and enjoy the latest generation of ultra high definition Blu-rays with the Panasonic DMPUB900 4K player. With high dynamic range reproduction, to add even more detail to all those extra pixels, and stunning audio options, the UB900 offers a great leap forward in the quality of your home cinema experience. It's not just discs that will benefit from the UB900's power. It also has internet and network connectivity, an SD card slot and USB. You can upscale your older content and enjoy it in stunning new ways. The UB900 features a new 4K High-Precision Chroma Processor equipped with imaging technologies such as chroma processing and high gradation processing that have been fostered and refined by the Panasonic Hollywood Laboratory (PHL) Blu-ray R&D facility. By taking full advantage of the massive amount of Ultra HD Blu-ray data, the UB900 reproduces video images on a home TV that look exactly as their creators intended them to look. The UB900 also offers dramatically improved audio quality. It is equipped with an optimized, large-capacity power supply unit and features many select high-quality audio parts and components in its audio circuits for rich sound expression. In addition, it supports high-resolution audio formats such as DSD and ALAC. Panasonic plans for the UB900 to support 4K VOD (Video on Demand) services, to give users greater enjoyment of 4K content. As demand for 4K continues to expand, the new-generation UB900 Ultra HD Blu-ray player offers a new video viewing experience for those who demand uncompromised quality in picture and sound. What's Ultra HD Blu-ray? Ultra HD Blu-ray is a next-generation Blu-ray Disc™ standard that supports 4K. What's more, it goes beyond 4K resolution (3,840 x 2,160 pixels) by supporting HDR (High Dynamic Range) to achieve true-to-life 4K image reproduction with high frame rates of up to 60p and a brightness range of up to 1,000 to 10,000 nits as well as the BT.2020 wide color gamut to further enhance color reproduction. The UB900 renders fine details like never before thanks to its high 4K resolution; provides life-like depth effects and vivid colors through high contrast between dark and light areas; and always displays sharp and beautiful images enhanced by smooth motion. High Quality Picture: Proprietary picture-enhancing technologies faithfully reproduce original images 4K High-Precision Chroma Processor The UB900 incorporates a newly developed 4K-ready engine, called the 4K High-Precision Chroma Processor. By using an original high-accuracy multi-tap process to interpolate the decoded 4K (4:2:0) signals of Ultra HD Blu-ray content to 4K (4:4:4), it delivers beautiful, natural pictures with lifelike depth and vivid colors. The UB900 also has an original 4K Direct Chroma Up-scaling function so that it can deliver 4K-quality pictures with high resolution and beautiful colours from 2K content. 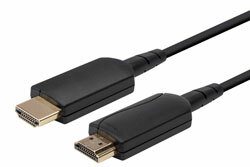 * A 4K/60p/4:4:4-compatible TV must be connected with an 18-Gbps-compatible high-speed cable. When reproducing Ultra HD Blu-ray content, 4:4:4/36-bit data is output for 4K/24p, and 4:2:2/36-bit data is output for 4K/60p. THX Certified* The THX®-certified UB900 Ultra HD Blu-ray Player reproduces the finely nuanced colours and rich, detailed images required to reproduce precisely the filmmaker's intentions. It also achieves truly lifelike surround sound. Users can watch movies at home with essentially the same quality they enjoy at a commercial cinema. High Quality Sound: High-quality audio signal processing achieves premium, wide-ranging sound Audio/Video Isolated Twin HDMI & 7.1-channel Analogue Audio Output The UB900 comes with a wide range of digital and analogue terminals to suit a diversity of users' system environments. The new twin HDMI arrangement separates audio and video signals to suppress unwanted noise and achieve high-quality audio reproduction. In addition, it supports analogue 7.1-channel audio for a direct connection to a home theatre system for lifelike surround sound. Each terminal is gold-plated to resist oxidization and maintain high signal conductivity. Carefully Selected High-Quality Audio Parts The UB900 uses many high-quality audio parts equivalent to those found in hi-fi audio products. Large-capacity electrolytic capacitors ensure a stable power supply and provide the sound with incredible power, while a Mica capacitor reduces internal digital noise from the power line. Digital circuitry features a LAN Common Mode Filter that decreases noise from external devices during network playback, and the audio circuitry supports high-resolution 192-kHz/32-bit Audio DAC. Essentially every part of the UB900 is designed to deliver high sound quality, from signal processing to audio device output. High-Resolution Audio Format The UB900 is designed for high-resolution audio reproduction. In addition to conventional WAV/FLAC/MP3/AAC/WMA formats, DSD (5.6 MHz/2.8 MHz) and ALAC music files can be reproduced. Simply connect to a home audio system to enjoy music sources equivalent to studio master sound quality. Digital Tube Sound with Up-sampling The distinctive, warm, comforting sound characteristics of tube amplifiers are faithfully simulated. Six different kinds of sounds from vacuum tubes with 96-kHz/192-kHz Up-sampling can be enjoyed in exceptionally high quality. Smart Networking: Fully fledged network functionality makes it easy to enjoy a variety of 4K sources 4K Video / Jpeg Playback Users can also reproduce 4K videos (MP4) that they've taken with a camera or camcorder. And they can output JPEG data in 4K resolution. This makes it possible to enjoy the memories of vacation trips in all their natural beauty, from magnificent landscapes to precious images of family and friends. DLNA Users can freely share content, such as photos, videos and music, with other connected devices throughout the home. Every member of the family can enjoy the content they want, in their own style, regardless of time and place. Design: The luxurious design gives the UB900 a high-quality presence 3D Glass Cut Design, Dot-matrix Display The simple and stylish design of the UB900 matches any flat-panel TV. The mirrored front panel features a bevel cut finish on all four sides to present a subtle yet distinctive presence enhanced by the use of a high-quality dot-matrix display. Remote Control with Backlit Buttons The UB900’s remote control carries backlighting to allow easy operation even in a dark room - perfect for home theatre systems. Also a great touch for dark room environments is the remote’s Dimmer button, which automatically adjusts the brightness of the player’s display to match the amount of ambient light. DMP-UB900 Main Features High Quality Picture ●Ultra HD Blu-ray Playback (4K/HDR) ●4K High-Precision Chroma Processor ●4K Direct Chroma Up-scaling ●4K 60p/50p Output ●4K Networking ●THX Certification ●Multi Contents 4K Up-scaling ●FULL HD 3D Blu-ray DiscTM Playback ●Picture Type Presets High Quality Sound ●TWIN HDMI PURE AV (Twin Isolated Output） ●7.1ch Analog Audio Output ●High-quality Audio Parts (Power Supply, Audio Circuit, Digital Circuit) ●High Clarity Sound Premium ●HDMI Low Clock Jitter Process ●Digital Tube Sound with Up-sampling ●High-resolution Audio Playback (DSD (2.8MHz/5.6MHz), ALAC, FLAC, WAV) ●192kHz/32bit DAC x 5 ●192kHz/96kHz Surround Re-master Smart Networking ●Internet Apps*1 ●DLNA (Client/Renderer) ●Network Drive Access ●External HDD Playback ●MiracastTM ●Web Browser*1 Easy Operation ●Wi-Fi Built-in (802.11n(11ac)) ●Stylish GUI ●Quick Start ●Home Screen Wallpaper ●VIERA Link Design ●3D Cut Design ●Insulator *1 Requires broadband Internet service. *THX is a trademark of THX Ltd., registered in the United States and other jurisdictions. All rights reserved.